An order to officially ban dispersed camping in the Gothic Corridor this summer has been issued by the Forest Service, a reaction galvanized by damage to the drainage caused by an overflow of visitors last summer. 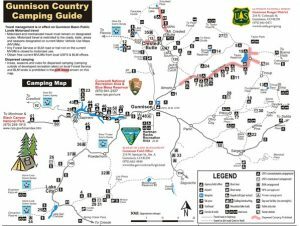 Surrounding areas will inevitably be affected, but county director of community development Russ Forrest assures the public there is still plenty of camping throughout the valley. 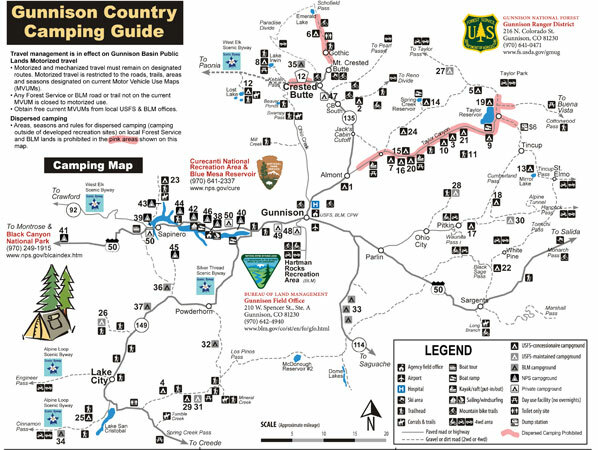 A camping guide and map informing locals and visitors of where they can camp, as well as site amenities, applicable fees and availability of units, will be made available through the Tourism Association’s website and social media channels, and at locations throughout the county. The Forest Service has also obtained funding authorization for two additional individuals to assist with enforcing the ban and disseminating relevant information, Forrest explained. “They are not law enforcement officers, but rather individuals wearing Forest Service uniforms who are there to basically give information, provide education, and certainly interact if they see someone putting up a tent where they shouldn’t be,” Forrest said. The order is in place from June 15 to August 15 annually, and also prohibits motorized vehicle travel off of designated routes year-round. In the past, vehicles were allowed 30 feet on either side of the road to park for camping purposes. “Motor vehicles may be parked along the designated routes for day use within one vehicle length from the edge of the road surface when it is safe to do so without causing damage to national forest resources or facilities, unless prohibited by state law, a traffic sign or an order,” a public service announcement from the Forest Service stated. According to the PSA, a NEPA scoping process conducted in the spring to address concerns about overuse in the corridor resulted in more than 80 comments from the public, and on May 31 the decision to close dispersed camping was issued. For those concerned about limited access to trails within the corridor, Forrest was quick to advocate for the hundreds of miles of additional trail throughout the county. “We have come to discover that we have 750 miles of trail in the county, so it is more than just the 401 trail, and the Tourism Association is developing a communication plan to show that you don’t have to go to Gothic to find great biking and hiking,” Forrest explained. To counter the damage that has been caused by overuse not only in the Gothic drainage but also in surrounding wilderness areas throughout the valley, Forrest is working with Sue Wallace of the Wildflower Festival, Sue Navy of High Country Conservation Advocates, John Norton of the Tourism Association and Erica Mueller of Crested Butte Mountain Resort to develop the “Mountain Manners” campaign. 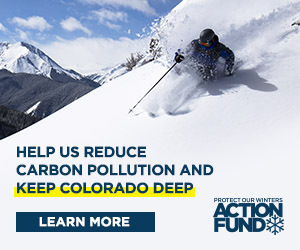 “This is basically an ongoing educational campaign for people using our trails and public lands to be respectful of the environment, the private property boundaries—particularly our ranchers—and to be aware of basic sanitation, which was part of the problem at Gothic,” Forrest explained. Of course, the One Valley Prosperity Project is also tackling the issue of overuse. As part of the project’s sustainable tourism and recreation segment, actions are under way to create an organizational structure to collaborate with federal partners in an effective way to deal with long-term capacity issues. “When you roll all of that up, this is the bundle of action to help us deal with potential overuse and loving our open space to death,” Forrest said.